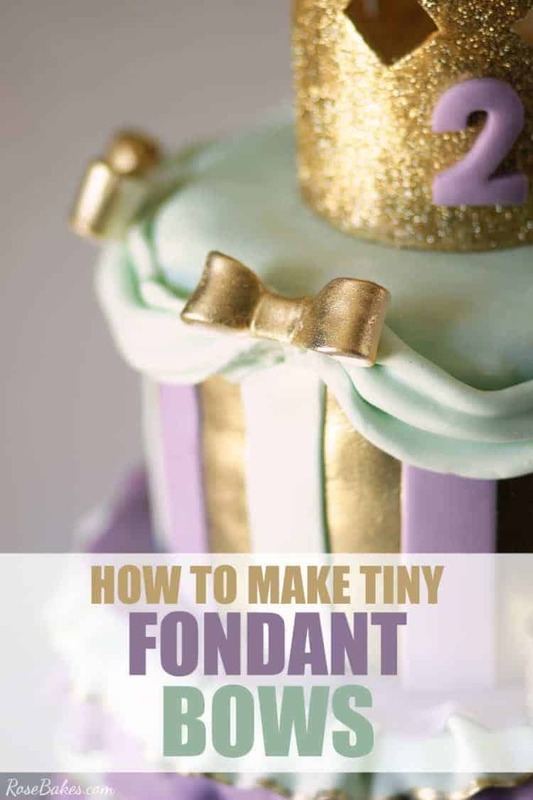 After sharing the tutorial for How to Make the Crown Topper and all the details of the Tutus and Tiaras Cake – I also had a request to share How to Make Tiny Fondant (or Gum Paste) Bows for Cakes. 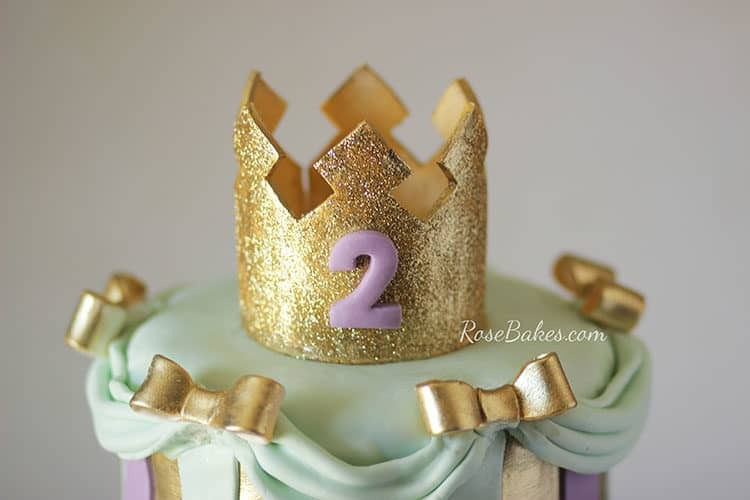 And lucky for YOU – I actually shot pictures when I was making the tiny bows for this cake. So, it’s late Thursday night, I’m exhausted after a long week of ugh… just a long week, so I’m going to get straight to the tutorial. Okay – first step. 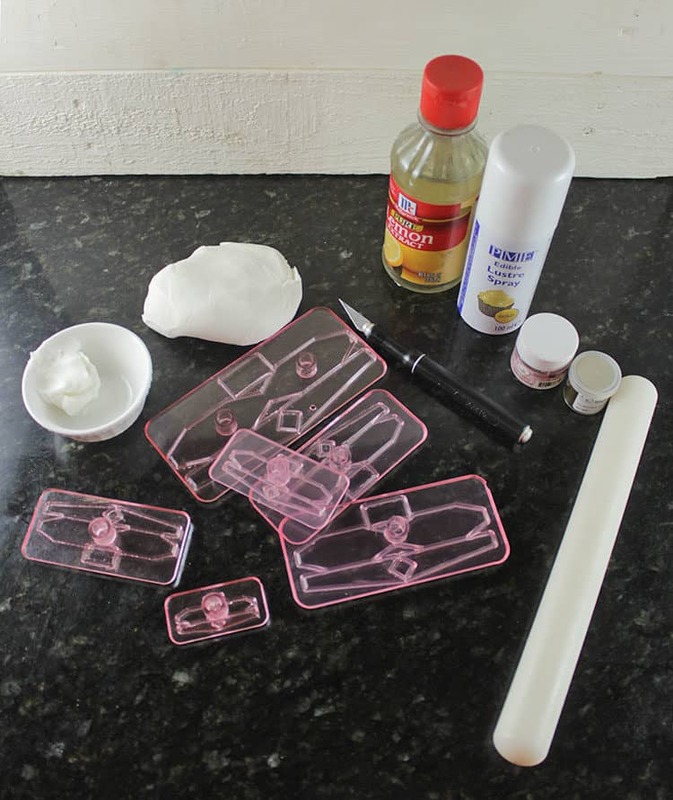 Rub down your surface with shortening to prevent your gum paste or fondant from sticking. 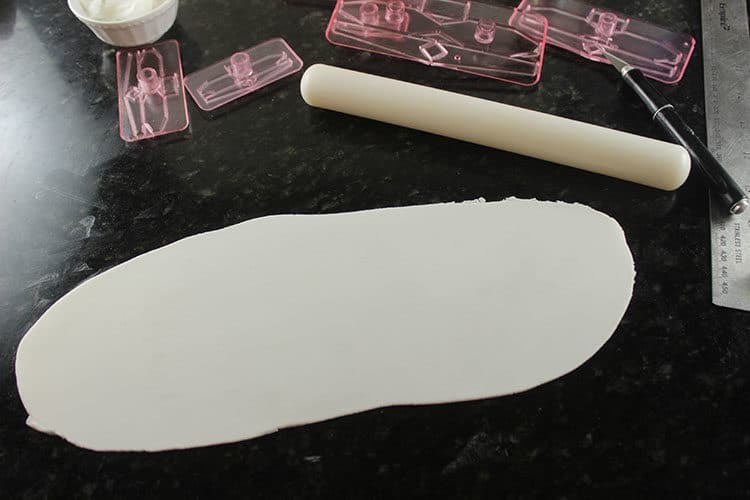 Then roll out your gum paste or fondant to 2-3mm thickness. When it’s ready, lightly dust the gum paste wtih corn starch (to prevent the cutter from sticking). 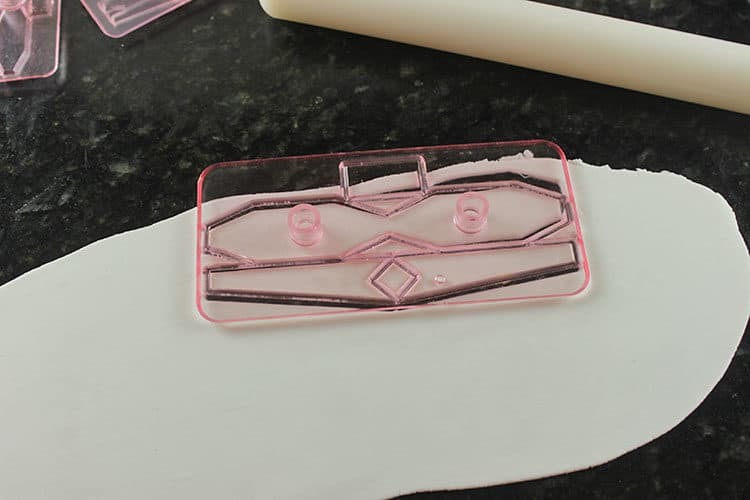 Next you’ll want to firmly press the cutter into the gum paste (or fondant) and wiggle it a little bit to be sure it cuts all the way through. I cut a few of them because I needed them all the way around the cake. 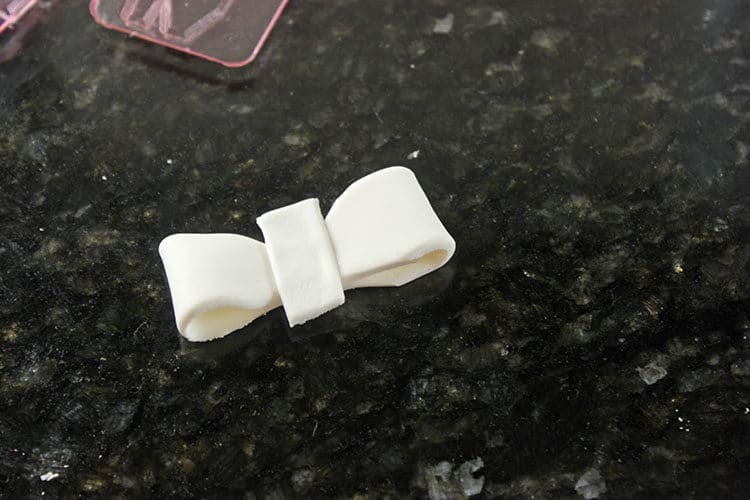 Note: I didn’t use the “tails” for these bows, but you could easily use those if you needed them for your cake! 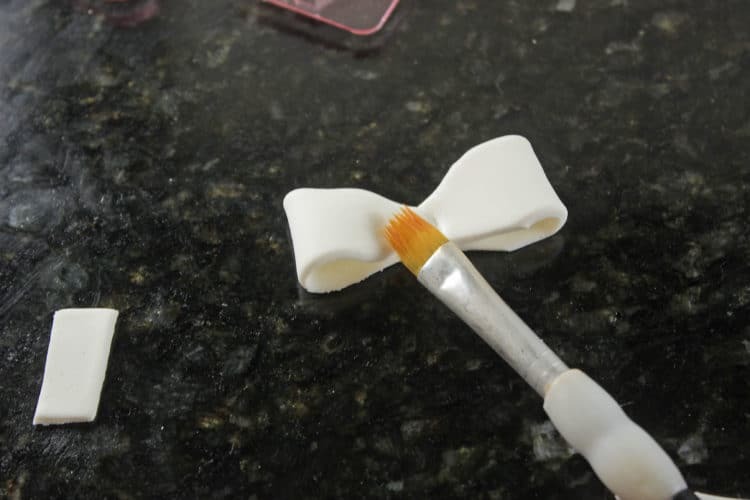 Flip the bow over and brush the center with sugar glue. 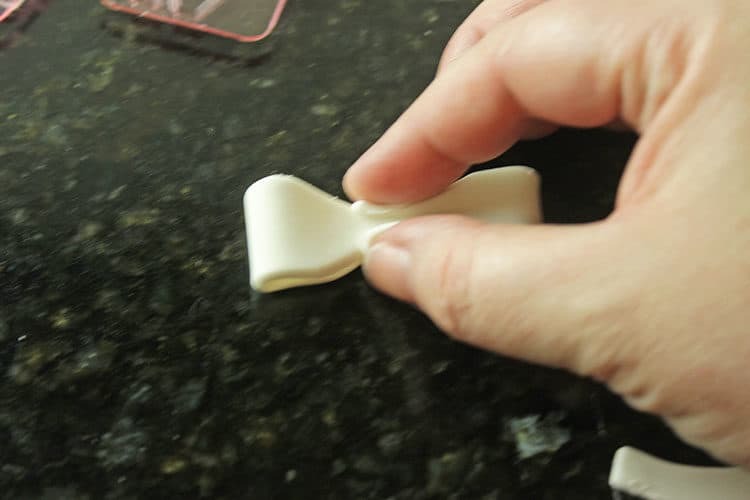 Then fold each end over to meet in the center and brush a little sugar glue there as well. That’s terrible right? But you get the idea. Now stand the bow up on your surface. To help them all have uniform shape, I used straws! Just slide some small pieces of straws or dowel rods into the loops. 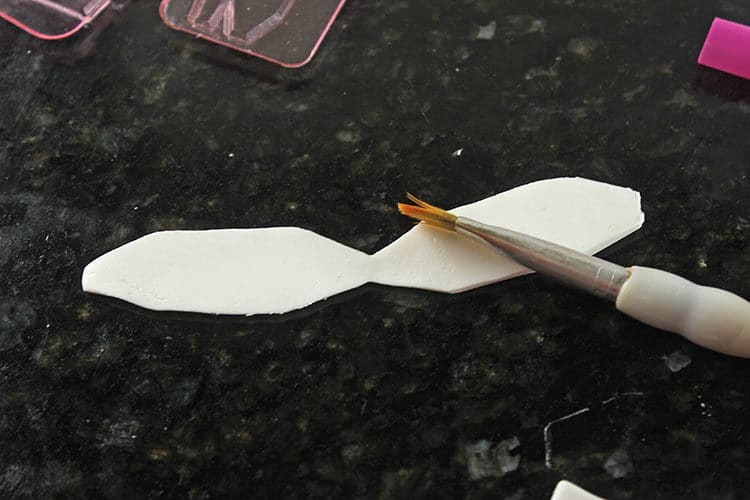 I use bubble tea straws for this size bow, but you will want to make sure you use something appropriately sized for the bow you’re making. I repeated this process over and over again until I had all the bows I needed, plus a few extras! After the bows dried for a day, I made them pretty, pretty gold! 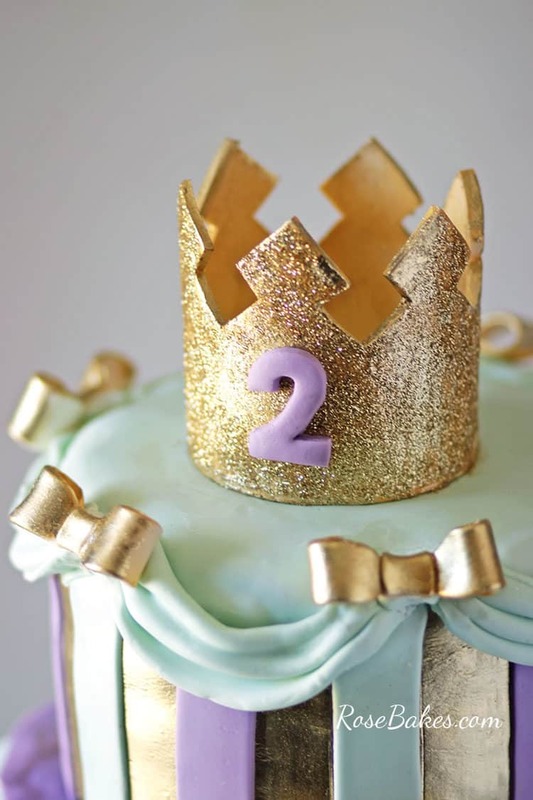 The gold was painted on using Imperial Gold Luster dust and lemon extract. I mixed the dust and extract until I got a thick paint consistency and painted it on. 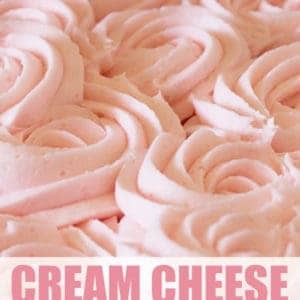 When that dried, I attached them to cake with melted candy melts. I was really happy with how they turned out! 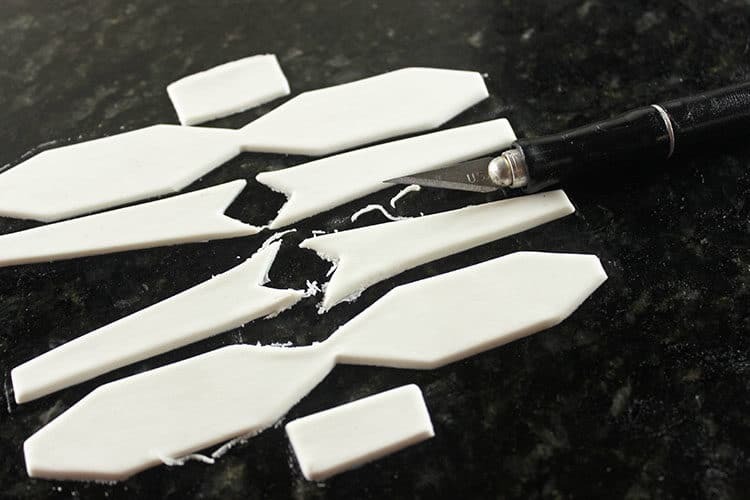 I’m also really happy that I was able to share this tutorial with you for How to Make Tiny Fondant (or Gum Paste) Bows for Cakes! Do you have any questions? Leave me a comment! 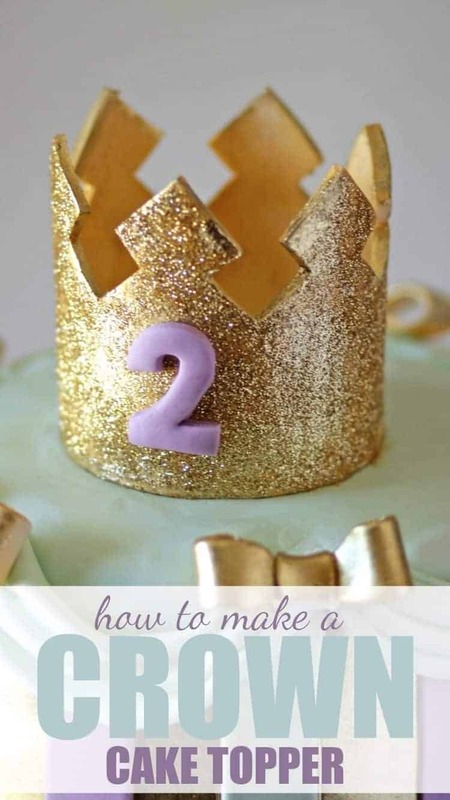 Also be sure you check out the crown tutorial here and the rest of the cake details here. I love the bows, thank you Rose. I just had surgery for that. 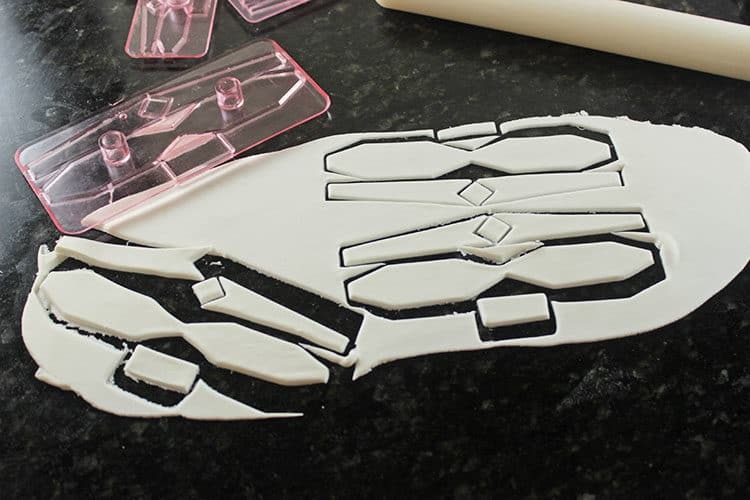 Do you recommend the bow cutters over cutting then free hand. Thank you for sharing your tutorial! I would never attempt to free-hand cut them, but if you’re good at that sort of thing, you could certainly go for it! I don’t use gold leaf, I use the gold luster dust. There are also gold sprays and paints you could use instead. 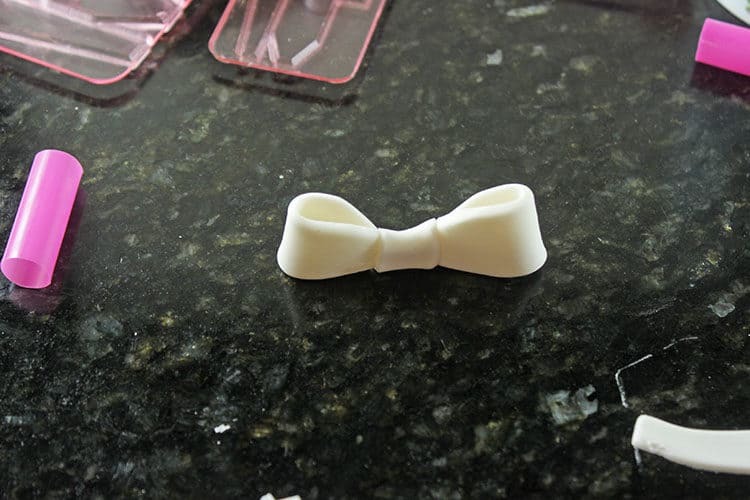 I dont know why I didn’t think there wouldn’t be bow molds!!!! I usually free cut and they turn out fine but take FOREVER… my life is forever changed. Haha… molds for the WIN! !